Chris Ikonomidis has become the fourth Socceroo to join Perth Glory in the close season. The attacking midfielder has signed a three-year deal with Tony Popovic's side. It means he continues in the A-League, having spent last season on loan with Western Sydney. Ikonomidis had been with Italian side Lazio for the past three years, though he only made one appearance for them in the Europa League in 2015-16. Lazio first loaned him out to Salernitana for a season in Serie B, and he spent the 2016-17 campaign in Denmark with Superliga side AGF. Ikonomidis scored three goals in his 10 appearances for Wanderers last season, and Glory football director Jacob Burns says the club beat off stiff competition to sign him. The 23-year-old, who has played six times for Australia, will team up with three other Socceroos who have been signed since Popovic was appointed. The other three are all defenders - Ivan Franjic, Matthew Spiranovic and Jason Davidson. Ikonomidis spoke to Spiranovic before making his decision, and said the 35-cap central defender had convinced him it was the right move. "The appeal of coming here was the project that is happening at the club," said Ikonomidis. "I definitely think that Glory will be competing for the title this year and that was one of the most tempting things about signing." Burns said to get another Australia international in the squad was "fantastic", adding: "He adds further quality and balance to what was already a very strong squad. "The fact that he has been at a club of Lazio's stature is a clear indication of the talent he possesses. 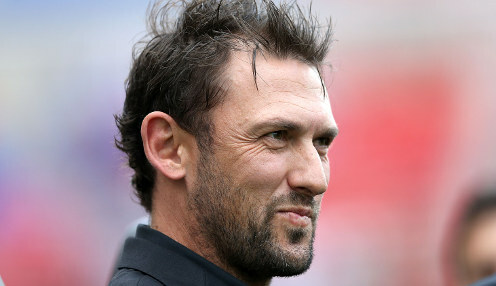 The extra attacking option that he provides will ensure another wonderful selection headache for Tony Popovic." Perth are 13/10 to win the Grand Final. The Glory are 13/10 to win their first game of the season against Western Sydney, who are 2/1 with the draw 13/5.